Islington grew as a sprawling Middlesex village along the line of the Great North Road, and has provided the name of the modern borough. 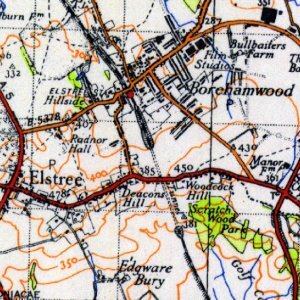 Some roads on the edge of the area, including Essex Road, were known as streets by the medieval period, possibly indicating a Roman origin, but little physical evidence remains. 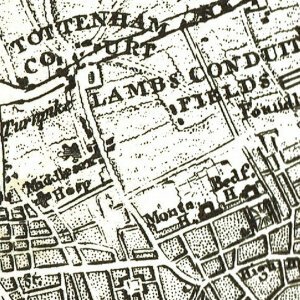 What is known is that the Great North Road from Aldersgate came into use in the 14th century, connecting with a new turnpike (toll road) up Highgate Hill. 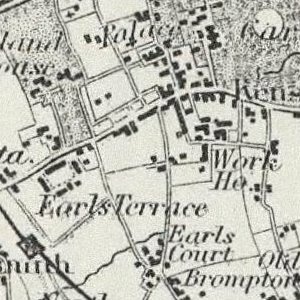 This was along the line of modern Upper Street, with a toll gate at The Angel defining the extent of the village. The Back Road, the modern Liverpool Road, was primarily a drovers’ road where cattle would be rested before the final leg of their journey to Smithfield. Pens and sheds were erected along this road to accommodate the animals. The first recorded church, St Mary’s, was erected in the twelfth century and was replaced in the fifteenth century. Islington lay on the estates of the Bishop of London and the Dean and Chapter of St Pauls. 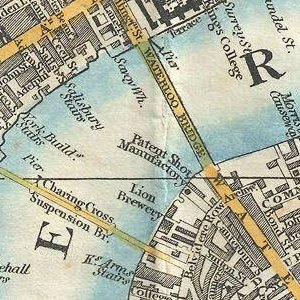 There were substantial medieval moated manor houses in the area, principally at Canonbury and Highbury. 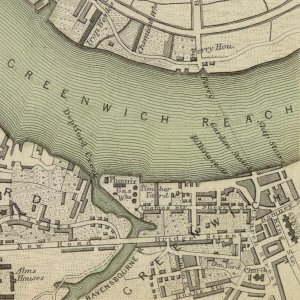 In 1548, there were 440 communicants listed and the rural atmosphere, with access to the City and Westminster, made it a popular residence for the rich and eminent. The local inns, however, harboured many fugitives and recusants. 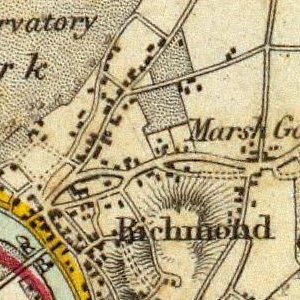 In the 17th and 18th centuries the availability of water made Islington a good place for growing vegetables to feed London. The manor became a popular excursion destination for Londoners, attracted to the area by its rural feel. Many public houses were therefore built to serve the needs of both the excursionists and travellers on the turnpike. 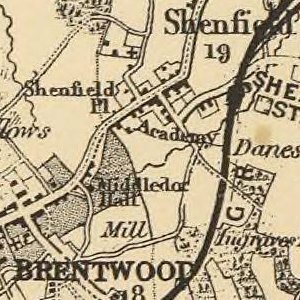 By 1716, there were 56 ale-house keepers in Upper Street, also offering pleasure and tea gardens, and activities such as archery, skittle alleys and bowling. By the 18th century, music and dancing were offered, together with billiards, firework displays and balloon ascents. The King’s Head Tavern, now a Victorian building with a theatre, has remained on the same site, opposite the parish church, since 1543. The founder of the theatre, Dan Crawford, who died in 2005, disagreed with the introduction of decimal coinage. For twenty-plus years after decimalisation (on 15 February 1971), the bar continued to show prices and charge for drinks in pre-decimalisation currency. 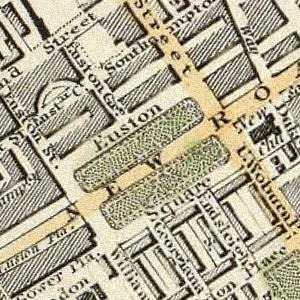 By the 19th century many music halls and theatres were established around Islington Green. One such was Collins’ Music Hall, the remains of which are now partly incorporated into a bookshop. The remainder of the Hall has been redeveloped into a new theatre, with its entrance at the bottom of Essex Road. It stood on the site of the Landsdowne Tavern, where the landlord had built an entertainment room for customers who wanted to sing (and later for professional entertainers). It was founded in 1862 by Samuel Thomas Collins Vagg and by 1897 had become a 1,800-seat theatre with 10 bars. The theatre suffered damage in a fire in 1958 and has not reopened. The Islington Literary and Scientific Society was established in 1833 and first met in Mr Edgeworth’s Academy on Upper Street. Its goal was to spread knowledge through lectures, discussions, and experiments - politics and theology being forbidden. A building, the Literary and Scientific Institution, was erected in 1837 in Wellington (later Almeida) Street, designed by Roumieu and Gough in a stuccoed Grecian style. It included a library (containing 3,300 volumes in 1839), reading room, museum, laboratory, and lecture theatre seating 500. 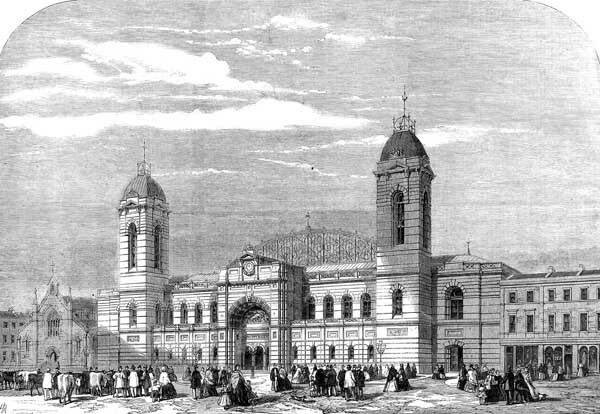 The Royal Agricultural Hall was built in 1862 on the Liverpool Road site of William Dixon’s Cattle Layers. It was built for the annual Smithfield Show in December of that year but was popular for other purposes, including recitals and the Royal Tournament. 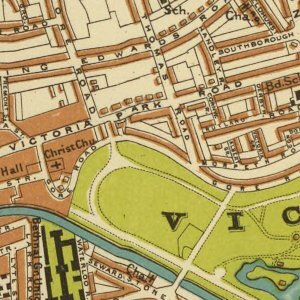 It was the primary exhibition site for London until the 20th century and the largest building of its kind, holding up to 50,000 people. It was requisitioned for use by the Mount Pleasant sorting office during World War II and never re-opened. The main hall has now been incorporated into the Business Design Centre. The aerial bombing of World War II caused much damage to Islington’s housing stock, with 3,200 dwellings destroyed. Before the war a number of 1930s council housing blocks had been added to the stock. 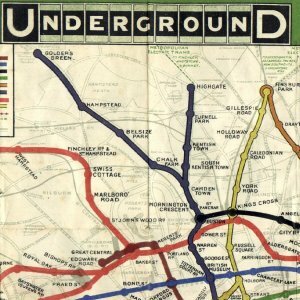 After the war, partly as a result of bomb site redevelopment, the council housing boom got into its stride, reaching its peak in the 1960s: several extensive estates were constructed, by both the Metropolitan Borough of Islington and the London County Council. Clearance of the worst terraced housing was undertaken, but Islington continued to be very densely populated, with a high level of overcrowding. The district has many council blocks, and the local authority has begun to replace some of them. From the 1960s, the remaining Georgian terraces were rediscovered by middle-class families. Many of the houses were rehabilitated, and the area became newly fashionable. This displacement of the poor by the aspirational has become known as gentrification. Among the new residents were a number of figures who became central in the New Labour movement, including Tony Blair before his victory in the 1997 general election. According to The Guardian in 2006, "Islington is widely regarded as the spiritual home of Britain’s left-wing intelligentsia." The Granita Pact between Gordon Brown and Tony Blair is said to have been made at a now defunct restaurant on Upper Street. 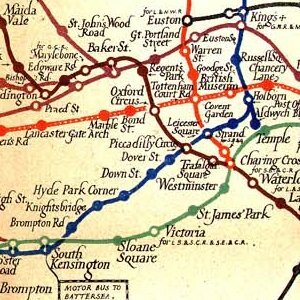 The completion of the Victoria line and redevelopment of Angel tube station created the conditions for developers to renovate many of the early Victorian and Georgian townhouses. They also built new developments. Islington remains a district with diverse inhabitants, with its private houses and apartments not far from social housing in immediately neighbouring wards such as Finsbury and Clerkenwell to the south, Bloomsbury and King’s Cross to the west, and Highbury to the north west, and also the Hackney districts of De Beauvoir and Old Street to the north east.